Dr. Andria Wisler serves as Executive Director of the Center for Social Justice Research, Teaching & Service at Georgetown University. 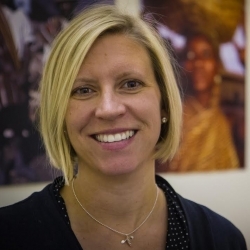 She teaches a Social Justice Research Methods course for the Program on Justice and Peace. 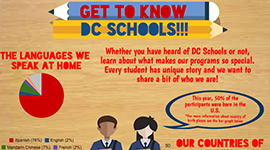 For Research Methods for Justice and Peace (JUPS299), students create an infographic for one or more of the programs at the Center for Social Justice. 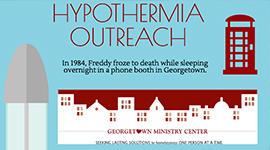 The map was distributed to GMC's patrons for use last hypothermia season to help locate shelters in extreme weather. 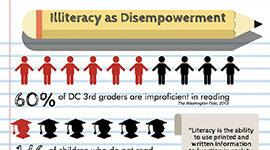 The purpose of this educational infographic is to build awareness about the pressing issue of illiteracy and how it connects to other larger social justice issues.